Ersalan Rahman, M.D. attended the University of VA where he earned his bachelor’s degree. He then got his medical degree at the Medical College of VA. His residency was completed at the University of Michigan W.K. Kellogg Eye Center and completed his pediatric Ophthalmology fellowship at Baylor College of Medicine and Texas Children’s Hospital. He is board certified in Ophthalmology. 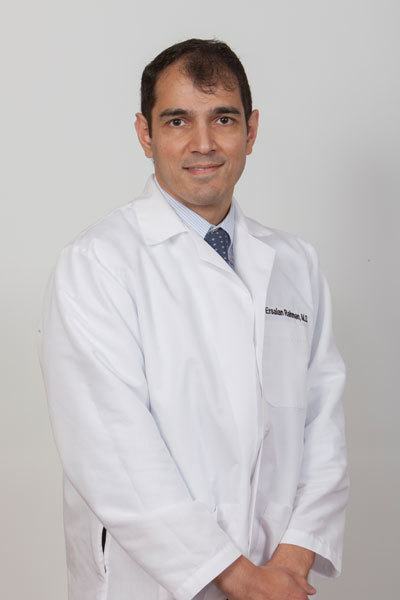 Ersalan Rahman, M.D. specializes in diagnosing and treating medical disorders of the eye for adult and pediatric patients. His surgical interests include cataract and strabismus surgery.